Amidst all the transfer sega going on between Manchester United and Marouane Fellaini, Manchester United boss Jose Mourinho has let out his opinion about the player. Marouane Fellaini was the difference on Sunday when he came from the bench to grab the winning goal for Manchester United against Arsenal in a mouth watering encounter at Old Trafford. 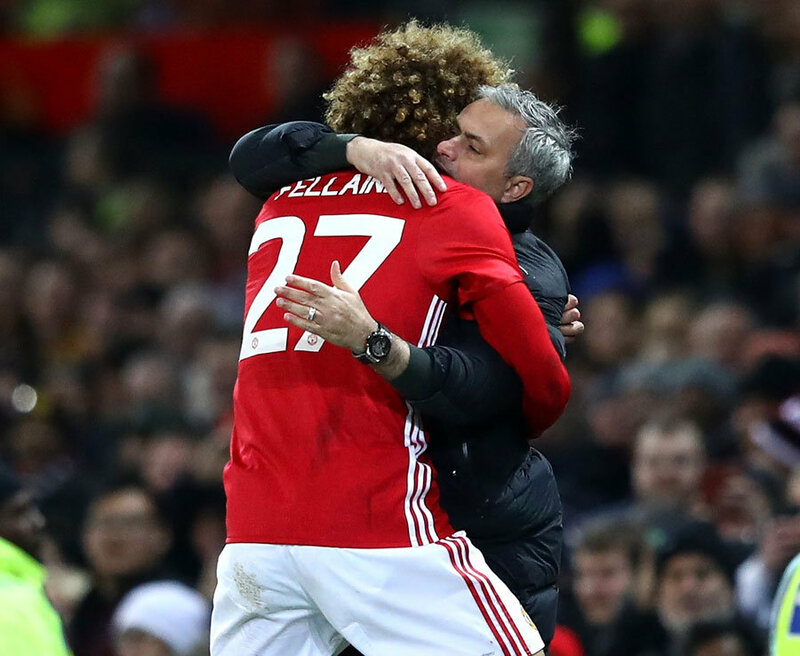 Though Fellaini is still yet to get a new contract, he is a player Mourinho trust so much and the formal Chelsea manager wants a new contract for him. There are offers from Chinese clubs, As Roma and Paris Saint-Germain for Fellaini and United also are winning to offer a fee in the region of £ 140,000-a-week. Though Fellaini might be tempted to make a move out to any of this big money clubs if United does not increase this fee. "I want to see the white paper with the United's crest and Ed Woodward's signature and Marouane's signature." "I think a player that grabs the crest after scoring is telling clearly that he wants to stay. I want him to stay, the club wants him to stay, I think he will stay, it is nearly there." Do you think Fallani should sign a new contract with Manchester United, despite being partially used?